The movie “Love, Simon” is now being made into a TV series. The lead role in an upcoming Disney TV show is currently up for grabs and the production is now accepting online, video auditions, from Latino, male actors who can play a high school teen. The Show is set for Disney+ which is Disney’s streaming digital channel. The series is still in pre-production and there is currently no scheduled release date. Disney+ is Disney’s new digital subscription service which is set to debut in November of this year. Disney+ will be offering hundreds of hours of their shows and movies at a price of $6.99. Greg Berlanti directed the original movie, “Love, Simon” which came out in 2018 which was part of his deal with FOX. According to Variety, that TV show is now in the works and based on the film which starred Nick Robinson as a gay teen living in suburbia that connects with another teen online. Also, according to Variety, the movie was made for $17 million, and went on to earn $67 million worldwide. According to reports, screenwriters Elizabeth Berger and Isaac Aptaker are on-board for the TV show and while original reports stated that director Greg Berlanti would possibly be involved in the TV adaptation, it looks like he will not be involved in the upcoming TV series. There is a nationwide audition casting call out right now for the lead role of the upcoming Disney+ TV show. 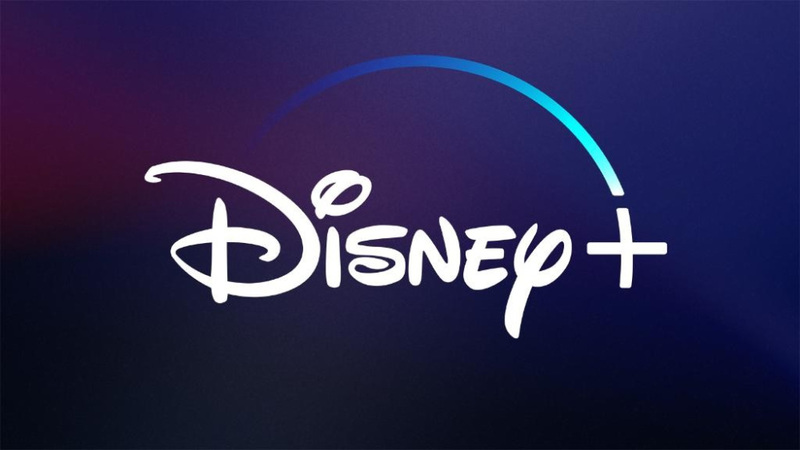 According to The Atlantic, Disney has big plans for their November launch of Disney+ – There are quite a few new Disney shows in the works which include the sci-fi themed series, The Mandalorian, a mockumentary show called High School Musical: The Musical: The Series, a CGI reboot of Lady and the Tramp and a show which will be starring Anna Kendrick titled Noelle. Disney also seems to have plans to make available content from their enormous library and other franchises such as Star Wars. The Disney TV / 20th Century FOX production is looking to cast the lead role of Victor. 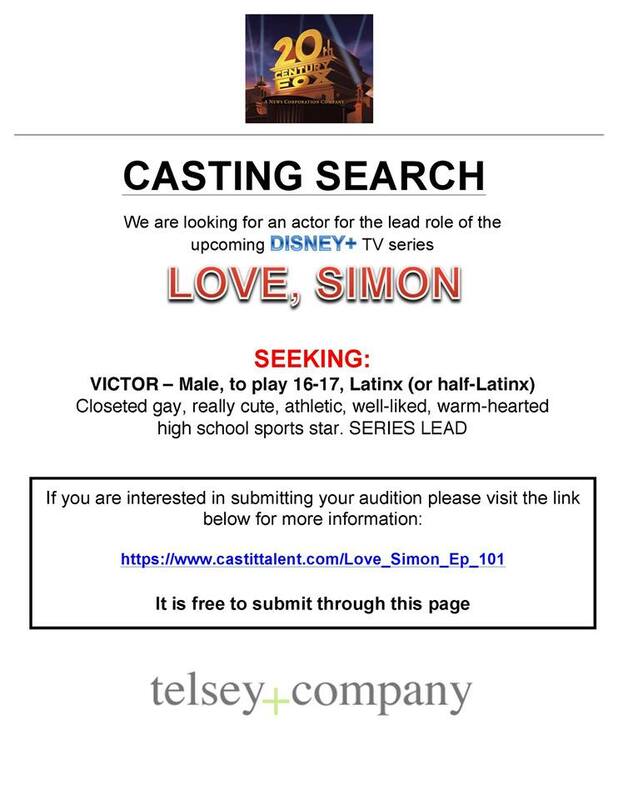 Casting directors at Telsey are looking for a male actor of Latin heritage to play the role of the 16 to 17 year old, gay character. The actor will be the series lead and is described as a gay teen that is still in the closet. He is cute, athletic, well liked and a warm-hearted high school sports star. Interested? See the casting notice below for the details. The Disney TV show is now taking video auditions from actors nationwide.